Join us for an elegant evening of cocktails, conversations and collaborations as we reflect on Trenton's past, reimagine its future, and mingle with some of the most influential leaders impacting the Capital City. 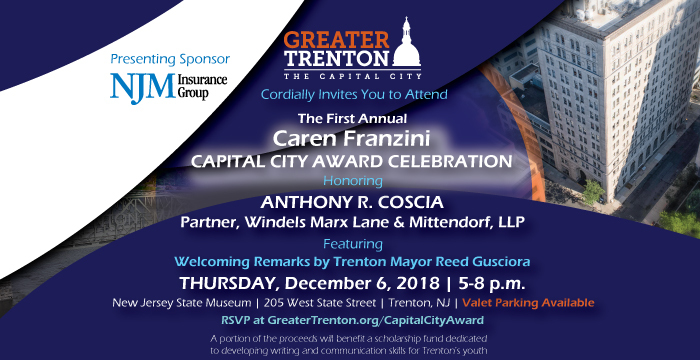 The celebration will honor the legacy of the late Caren Franzini, former NJEDA CEO and one of the founders of Greater Trenton, by presenting the Caren Franzini Capital City Award to Anthony R. Coscia, Partner, Windels Marx Lane & Mittendorf, LLP. Mayor Reed Gusciora will provide welcoming remarks and Governor Phil Murphy has been invited to attend. Serving as Chairperson of the event is Brenda Ross-Dulan, Principal of the Ross Dulan Group, LLC. We are pleased to announce NJM Insurance Group as the presenting sponsor. 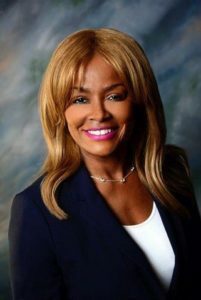 For information on how you can join the effort to memorialize Caren’s extraordinary leadership while helping Greater Trenton reboot, refresh, and reinvigorate our Capital City, please reach out to Shana Siplin at ssiplin@greatertrenton.org or call 609-777-1770. The celebration is expected to attract 250 guests. A private reception featuring New Jersey Governor Phil Murphy will take place beginning at 4 p.m. for designated Impact Pass holders and sponsors. This reception provides an opportunity to think more about Trenton’s past and future through conversations with influential community, government, and business leaders. 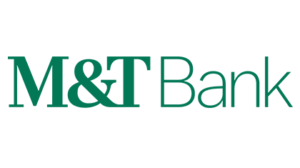 During this time, Kamal Bathla, CEO of Maestro Technology, a firm that recently relocated to the Capital City, will provide a technology-driven presentation focused on Trenton's future, exciting things in the works, and the endless possibilities ahead. Join Greater Trenton and Presenting Sponsor NJM as we celebrate the legacy of Caren Franzini by honoring Anthony Coscia. 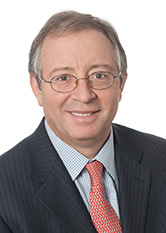 Anthony R. Coscia is a partner and Executive Committee member of Windels Marx Lane & Mittendorf, LLP, one of the New York region's oldest law firms. In addition to his private practice, Mr. Coscia also serves as Chairman of the Board of Directors of the National Railroad Passenger Corporation (Amtrak). Mr. Coscia is the Chairman of Suez North America Inc., the U.S. subsidiary of Suez Environnement SAS. 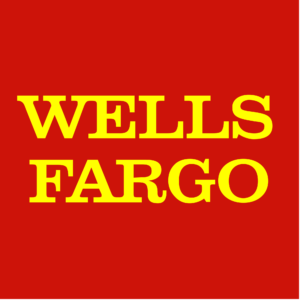 He is a Director of OceanFirst Financial Corp. and OceanFirst Bank and has previously served as a director of public and closely held corporations in the construction, financial services, investment banking, real estate and manufacturing sectors. In addition, he serves as a trustee of Georgetown University, the New Jersey Community Development Corporation and is a member of the New Jersey Performing Arts Center Council of Trustees, The Partnership for New York City, The Economic Club of New York and the Regional Plan Association. Mr. Coscia served as Chairman of the Port Authority of New York and New Jersey for over eight years, stepping down from the Board on June 30, 2011. From February 1992 to March 2003, Mr. Coscia served as Chair of the New Jersey Economic Development Authority ("NJEDA"). Mr. Coscia is a Phi Beta Kappa graduate of the Georgetown University School of Foreign Service and received his law degree from Rutgers University School of Law. In 2007 he was awarded an honorary doctorate of humane letters from the New Jersey Institute of Technology. Brenda Ross-Dulan is an award-winning business executive, thought leader and board director. During her twenty-five year career in the ever-changing financial services industry, she has successfully led through mergers, acquisitions, turnaround and start-up situations by building collaborative cultures that position teams for strong, immediate and sustained results. With experience in corporate banking, commercial real estate and most recently in leading a $12 billion retail banking group for a Fortune 100 company, she has amassed expertise in P&L management, strategic decision making, leader development, community investment and non-profit board governance. She was ranked as one of the nation’s most powerful women in corporate America by Black Enterprise Magazine for three consecutive years and has received half a dozen accolades as a leading female in the past five years alone. 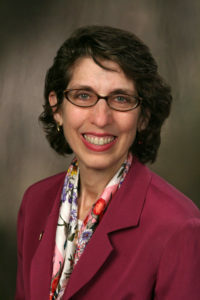 Ross-Dulan was recruited to serve on the board of directors at NJTV, New Jersey’s public television network; Cooper’s Ferry, an economic development association serving the city of Camden; the Princeton Regional Chamber of Commerce; the Chamber of Commerce of Southern New Jersey; the Greater Trenton Initiative; and Alpha Kappa Alpha Sorority. Ross-Dulan is a transformational business executive, priding herself on leading with authenticity and introducing unique solutions to common and complex challenges. As principal of The Ross-Dulan Group, she is frequently consulted on a variety of business and leadership matters. 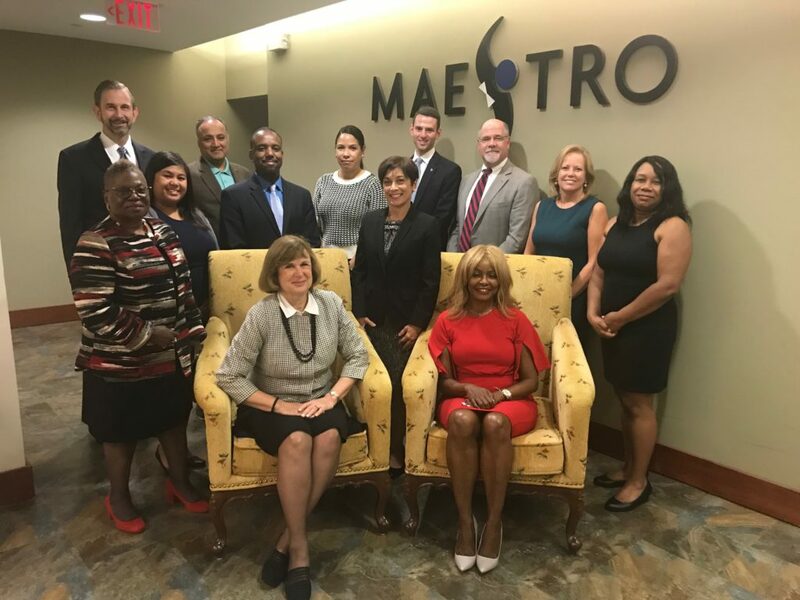 Greater Trenton is an independent 501(c)(3) nonprofit that uses private funding and a network of collaborative relationships to advance economic revitalization efforts in the state’s capital city. Led by Chairman Anthony "Skip" Cimino and CEO George Sowa, Greater Trenton's Board of Directors is comprised of leaders from Bristol Myers Squibb, Capital Health, Investors Bank, Janssen Pharmaceuticals, NJM Insurance Group, Princeton Area Community Foundation, Princeton University, PSEG, Horizon Blue Cross Blue Shield of New Jersey, St. Francis Medical Center, TD Bank, Thomas Edison State University, and Wells Fargo Bank. 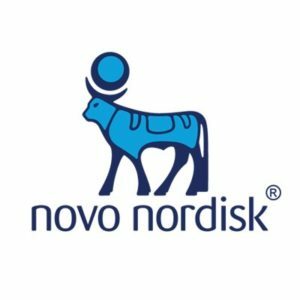 The organization’s Board of Directors has made a multi-year commitment to fund this important initiative. 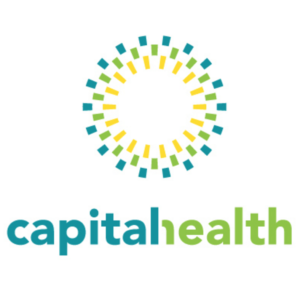 Formed in the fall of 2015, Greater Trenton’s key objectives include coordinating downtown economic development projects; providing one-stop support and information for investors interested in taking on new projects; reaching out to potential residential, commercial and/or retail investors and tenants; supporting and promoting existing downtown initiatives; engaging downtown stakeholders in a strategic economic development plan; and developing investment marketing strategies.